You can watch a video of a teacher at the primary school speaking to the students about how music can change their lives here. We launched our program in August 2014 in Kawangware, one Nairobi's poorest slums, and now seek to scale our program to hundreds of students at Kawangware Primary School, our first partner. We have already identified a number of other schools throughout the country that are interested in similar programs, and are training new local teachers to launch these programs. 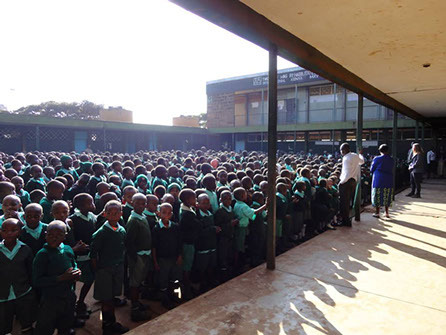 El Sistema Kenya is an education-based social change initiative founded in 2014 in Kawangware, a slum in Nairobi. 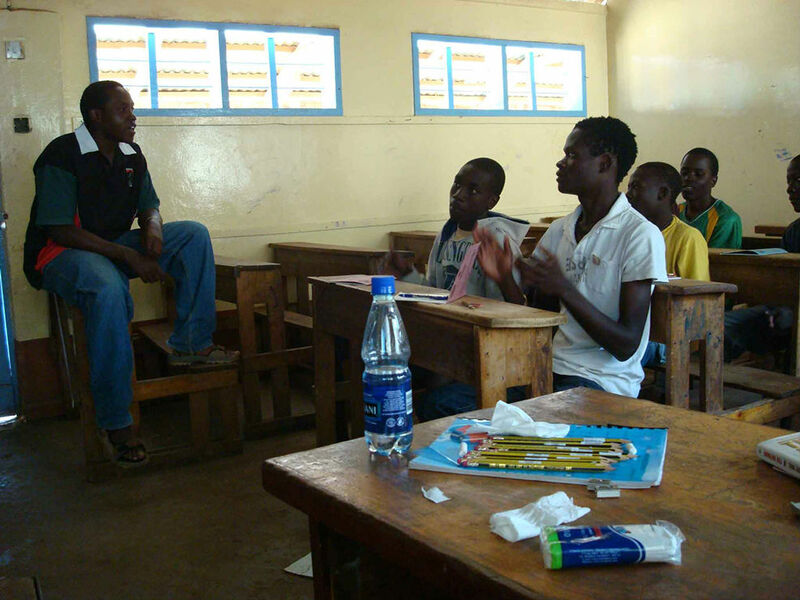 Our goal is to change the lives of underprivileged young students in East Africa, nearly all of whom are taught through rote memorization and often do not receive opportunities to become creative, well educated individuals and better their lives. 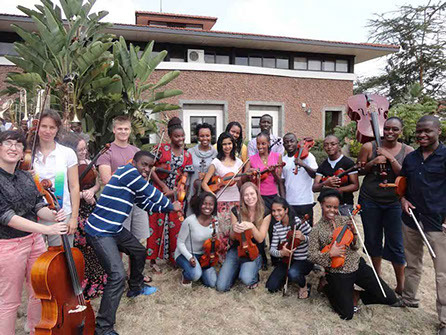 We have seen the power of music to change lives – in the Americas and Europe similar programs have helped over 2 million students, and in Africa organizations such as the Kenya National Youth Orchestra have already shown powerful results. 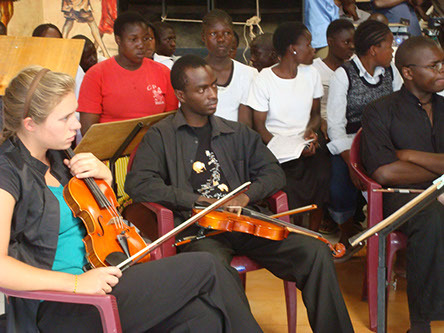 El Sistema Kenya (ESK) is led by experienced music teachers, all of whom have spent years involved with musical performance and education in Kenya. 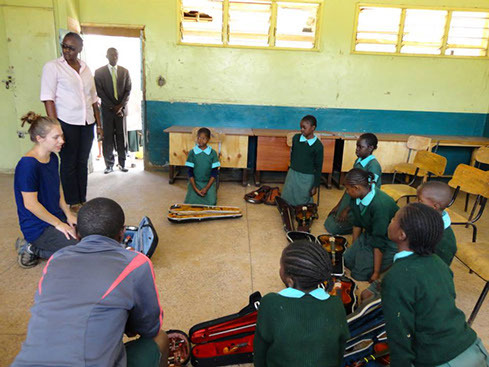 We are also training future music teachers to continue our work in other schools and areas of Kenya. Every weekday, we meet with the children after school and teach them how to play the violin, viola and cello in an ensemble setting. Our sessions teach much more than just music – we teach teamwork, leadership, respect, self-expression, and self-confidence. Our curriculum is based on El Sistema’s proven model and the years of local experience brought by our teachers. We hope to continue proving our impact at Kawangware Primary and then scale our model with “teaching the teachers.” We already have excellent teachers in training. Our program is designed to empower them to first teach their own classes, then teach other teachers. In this way, we can spread rapidly throughout Kenyan communities and beyond, just as El Sistema did in Latin America.